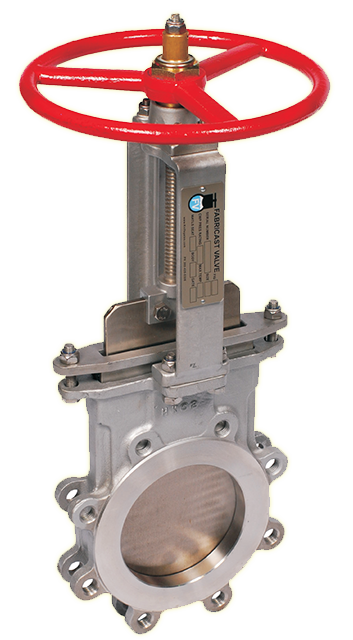 The Fabricast FIG 50 is a resilient (rubber) seated, perimeter sealed Bi-directional Knife Gate valve. 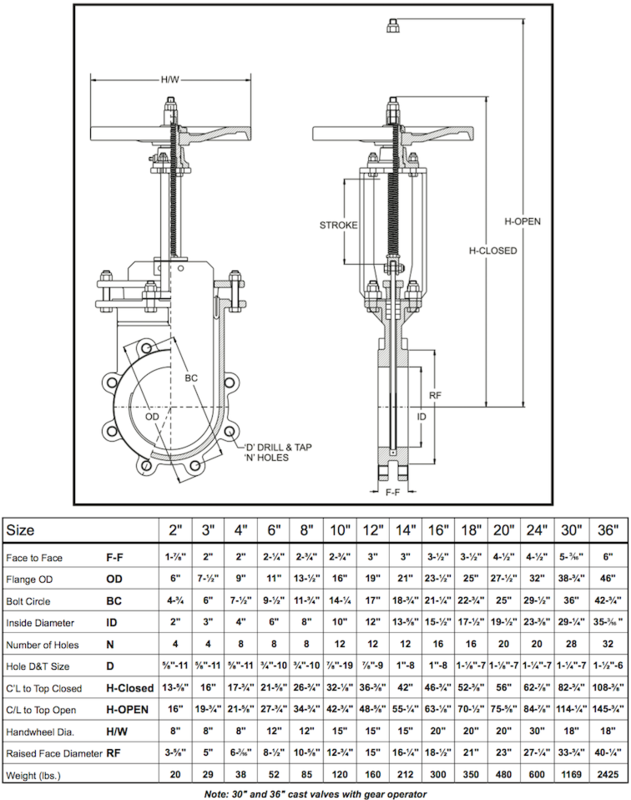 Designed and tested to MSS SP81 and ASME B16.5 specifications. BUNA N seat is standard 180 Deg. F.
Pneumatic, hydraulic and spring cylinder, electric motor operator, 3:1 and 4:1 bevel gear operator, chainwheel, stem extensions, lever operator.